What Is The Hack Squat? Is The Hack Squat Good For Me? How Exactly Is The Hack Squat Done? Hack Squat Machine Or Barbells? How To Do The Barbell Hack Squat. What Are The Possible Side Effects Of The Hack Squat? How To Get The Best Out Of Your Hack Squatting Routine. For long, the hack squat has been touted by athletes, Tom Platz and Milos Sarcev wannabes, and virtually every gym-goer as an excellent way to step up your glutes and quads. No questions asked, that’s right. But there’s more to hack squatting than locking into the hack squat machine with your headphones on and working out for an hour straight. 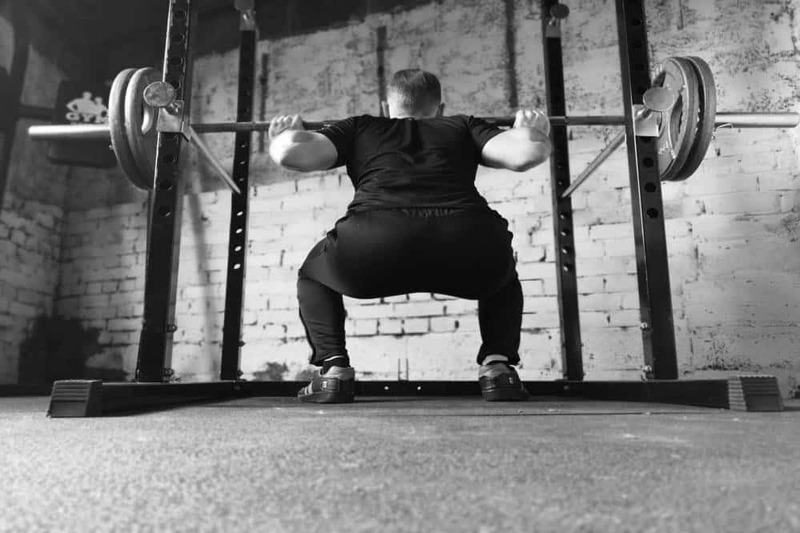 On this article, I will be bringing to light a ton of information concerning hack squats, ranging from what a hack squat is (for the newbies around here), to some factors that will determine whether you should be hack squatting in the first place. I will also be addressing the proper method of doing hack squats as well as the benefits you can expect to derive from including hack squats in your workout schedule. 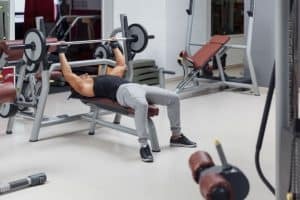 And considering that you can either do the hack squat on a hack squat machine or just improvise with barbells, I’ve gone a step further to point out which of both should be the smarter and more cost-effective solution for you. All that, and so much more that will help you become a better bodybuilder. Or simply get you the nicer-looking abs you’ve always wanted. 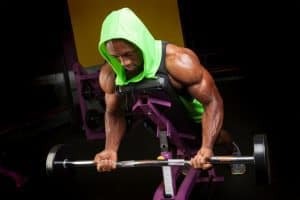 Below, I have dissected hack squatting, working out with the hack squat machine and with barbells, as well as the pointers that will help you determine if hack squatting is best suited for you or not. WHAT ARE THE POSSIBLE SIDE EFFECTS OF DOING THE HACK SQUAT? Before you try catching a dolphin, you must know what a dolphin looks like. Aside from that not-too-funny joke, the point here is this: before you can learn all there is to know about hacks squats, you must have a clear understanding of what it is, not just what you overheard a guy at the gym say (for the beginners around here). That said, the hack squat is a bodybuilding exercise that is carried out on a sled that gets you squatting at a 45-degree angle, aimed at developing muscular power for the lower body partition. Just like every other exercise, the hack squat is something to be tried out on a whim. 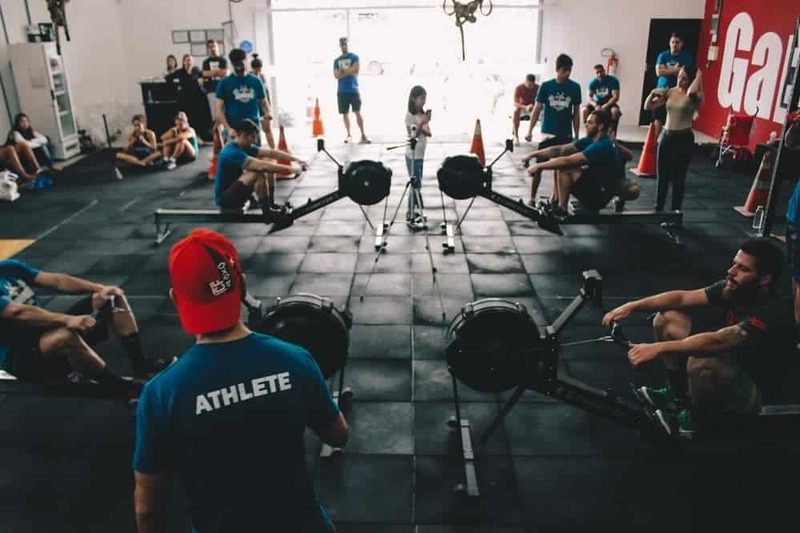 All things being equal, you need to find out if you have special needs that the hack squat can help you handle, as well as if doing the hack squat can affect your physical frame adversely. Although the question as to whether the hack squat is advisable for you, in the end, that is a personal decision you have to make. I’ve detailed some tips that will guide you on choosing the hack squat or an alternative. You’re looking to build up the muscular power of your lower region. The hack squat is one of many exercises recommended by bodybuilders to increase strength in your lower muscular profile and will be a good fit for you if that is your prime target. If you’re experiencing different degrees muscular strength on each leg respectively and you are looking to correct this. As it is possible to train each leg separately on the hack squat machine, you can zero in on any of your legs that isn’t measuring up to your standard and work it up to shape. If you are looking to stabilize muscular uniformity between your lower and upper body regions, the hack squat can help build up your glutes and quadriceps to match your torso in power, ensuring that you will deliver maximum performance because of your body’s strength uniformity. You love creating your ideal workout situation. Just like barbells, you can load up a hack squat machine with as many plates as you would like, or even as few as you desire – perfectly suitable for improving power over time. You are recovering from an injury, and you are trying to regain your balance before you go all in once more. Recovery or convalescence isn’t the best time to prove you’re Atlas. Hack squats are a good way to gradually regain power and stamina that you may have lost from a period of illness or injury. With that aside, here are a few reasons why the hack squat may not be a perfect fit on your workout routine. Again, this should be considered on a personal basis to find out your individual needs. You have a history of weakness or ailment of any kind in the knee. Hack squat machines put immense pressure on the knee due to the 45-degree thrust of the body while the exercise is ongoing. Although it is not going to make your kneecap pop, hack squatting may aggravate any weakness in the knee. Advice: If possible, stay away from the hack squat machine as long as necessary until any knee-related injury or condition is declared satisfactorily cleared for even mildly strenuous exercise. You are looking to improve your entire physique at a go. Hack squats are specifically designed to build up power at the lower region so if you have in mind to enhance your entire muscular profile, … sorry, the hack squat ain’t exactly for you. If you are an athlete, who plays in a real-life, full-body situation. The limited exercise capacity that the hack squat offers cannot be of much benefit to an athlete you needs to play in a game. Stationary training can never help you get the same results as training in a more flexible, specialized environment. This is a step-by-step process that details how you can get started working out with a hack squat machine. Notice that your body must be in tandem with the machine all through the process to make it as simple and effective as possible. Rest your back on the pad of the hack squat machine and dock your shoulders into the grip of the hack squat machine’s shoulder pads. Fix your legs in the platform with a medium stance, having your toes facing outwards. Please, ensure that your head is always upright, and your back remains fixed on the pad for the duration of your workout. Grab the side grips of the hack squat machine and gradually dislodge the safety handles. Start by keeping your knees apart while you stretch out your legs to their full extent. Slowly extend the hack squat machine by flexing your knees. Remember to keep your back firmly on the back pad while your head is positioned upright. Keep at it until the angle separating the upper and lower portions of your legs approach a perfect 90 degrees, or they’re almost on a straight line. You should inhale generously as you carry out Step 5. Your body will need all the oxygen it can muster. Straighten the hack squat machine by pushing off the floor of the footrest portion with your heels as you return to your initial position. Repeat the entire process for as long as you like – that’s it! I believe this list contains the entire essence of using a hack squat machine. Also, there may be a few variations to this guide especially if you are looking to start with the primary or advanced stance (not recommended for beginners). One significant fact about doing the hack squat is the fact that you can still improvise with barbells if your local gym happens not to have a hack squat machine that you can work out on. Doing the hack squat with barbells is obviously cost-effective, but will require more caution on your part to ensure that you don’t get injured. Overall, using the hack squat machine gives you more flexibility, as you get to determine how much weight you can carry, and increase or decrease it to any point you desire. It also gets you in a fixed position where you can balance your body weight and focus on just working out. On the other hand, doing barbell hack squats requires that you bear all the weight on your muscles and as a result, you will be working out with much less weight than a hack squat machine would have allowed you to. 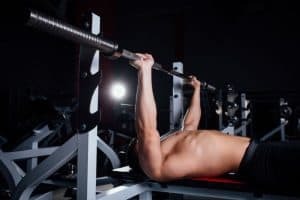 As a result, doing hack squats with barbells may seem inconvenient as it places a more enormous amount of stress on your lower back region, but is actually more rewarding as you get to do the extra work the machine would have helped you out with – improving your physique in the process. All the same, if you have a hack squat machine at your fitness center, it would be wise to start out using it, until your legs have gained enough strength. Subsequently, you can proceed to begin hack squatting with barbells. So, in a situation where your gym doesn’t have a hack squat machine, or you just don’t fancy working out for the eyes of people, you will have to make do with what you have. Get a standard barbell and position it precisely behind you, and at a perpendicular angle for easy grasp. Place a few plates behind you where you will rest the back of your heels. With this posture, more pressure will be exerted on your hamstring muscles and will add more effect to your rise. You will need a smaller-than-average diameter plate to get the barbell to stay as close to the ground as possible. The aim here is to ensure you squat as low as possible and then arise with the weight of the barbells transferred from your back to your extending legs. Fix the weight you intend to lift onto the barbell. Take care to ensure that the weight you have chosen isn’t heavier than you can really bear. It is ideal to start as small as practicable and improve over time, instead of over-stressing your muscles and burning out in a short while. Squat as low as possible, and with the barbell positioned exactly under your glutes, grip the bar and push up till you are fully erect. Keeping holding onto the barbell while you rise, and ensure that you don’t extend your weight forward to prevent falling over. While stretching to your full height keeps your glutes and hamstrings squeezed in order to exert maximum pressure that will add more power to them. Once you’re fully erect, keep a good grip on the bar and slowly return to the squatting position. Repeat this cycle for as many times as you can but keep an eye on your energy. Doing this while exhausted can get you to trip and… let’s not even talk about that. 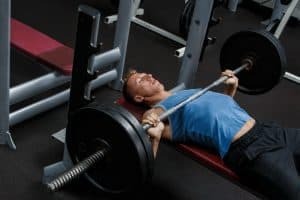 If you’re one of us who have been doing hack squats for quite a while, you may probably relate with loading up the hack squat machine at the gym with a ton (figuratively…) of plates and starting to work out. As if that wasn’t good enough, a guy walks up to you, taps your torso and gives you a high-five…Hunk. Now, apart from that macho feeling that you get every time this or something similar happens, hack squats are a great way to build power and endurance for your lower body and reduce lower-upper body muscular disparity. In the world of bodybuilding, it’s not every day that you find a particular technique that enables you to focus on developing a specific part of the body, such as the leg. The hack squat does just that. Because you have the option of training one leg at a time, the hack squat enables you to make up for and gradually begin to remedy any muscular imbalance. Once you begin to do the hack squat, with a focus on a particular leg, you will find that that leg will start gaining muscular equality and balance with your better leg. If there’s one thing the hack squat machine does excellently, it is to provide stability to athletes of all sizes and muscular capacity. This usually comes in handy especially when you are still recovering from an injury, and you’re looking to exercise without much strain to your muscles. “Do It Your Self” is the motto of the 21st Century and what workout machine helps you customize your own bodybuilding experience like the hack squat machine does? Because your central body isn’t required to do much work while using a hack squat machine, it can be loaded up with as many or as few plates as you like, enabling you workout at your own pace and to level up whenever you feel like it. With the hack squat machine, not only can you determine the amount of exertion you put your muscles through, but you also get to choose which part of your lower body gets to be focused on during your workout. By just taking your foot higher, the pressure accumulated is exerted on your glutes, while a lower foot position gets you exercising your quadriceps. The hack squat does what it is intended for – and nothing beyond that. Because it keeps the torso and the region above working as minimally as possible, enough pressure can be mounted on your lower region, helping you improve your overall squat depth. Now we have had a look at the great benefits that can be derived from doing the hack squat; it is pertinent to observe some of the objections some higher-ups in the bodybuilding world have against the hack squat. Not a few bodybuilders believe that although the hack squat can help develop the lower muscular regions, they also indicate that it could result in various problems or inconveniences. Below you will find out some potential side effects that hack squatting can have on you if you take it extreme, and hopefully, you will take caution and not exceed safe limits. Once you are locked in and going full swing on the hack squat machine, some important stabilizer muscles are in a less convenient position to act. Bear in mind that stabilizer muscles are in place to protect the joints and once they are incapacitated, hack squatting can prove to be dangerous without even as much as a moment’s notice. The 45-degree tilt angle that is required to lock into the hack squat machine positions your knees far ahead of the rest of your body, and causes more exertion on them as they are extended under intense pressure. When you consider that the hack squat machine makes it possible for you to carry more weight than usual (about two times more), it is evident that this amounts to setting the stage for knee injury. The basic concept of the hack squat machine is to put your body at an angle and let you take it from there. But this is flawed, in that the hack squat machine doesn’t exactly imitate any real-life field scenario for sports players. Yes, hack squatting gives you decent exercise, but there’s more possibility with other alternatives. When you are hack squatting with a barbell, your central parts are required to do a fair share of work, but while working out with a hack squat machine, little exertion is made on your core, giving it less opportunity to develop accordingly. Now that we have established the benefits and the possible side effects that can be derived from doing the hack squat, the summary is that hack squatting is a great exercise that is trusted by elite bodybuilders to develop their glutes, quadriceps, and overall muscular tone. But while doing the hack squat is beneficial, care must be taken to avoid any possible reverses. And for the pros among us who have been doing hack squats for quite a while, you may not have realized it, but with little additional effort, you can get more results from doing the hack squat, while minimizing the risk that you’ll ever strain a ligament/tendon. When hack squatting with a hack squat machine, settle at the squat position for a brief moment before stretching out again. Once you are squatting, either in the hack squat frame or with barbells, take some time to bear the weight on your leg muscles. This process will help stretch out and toughen your inner thigh muscles over time…good one. Remember to keep your back and glutes fixed on the back pad of the hack squat machine, which will ensure that you maintain a specific and most rewarding workout posture that provides enough exertion on the glutes, quadriceps, and adductor muscles. Alternate from leg to leg to focus on any limb that requires special attention. If you notice that any one of your legs has less muscle weight, stamina, or stability than the other, you should consider balancing on that particular leg while doing the hack squat. This may put much more pressure, but that can be managed by offloading a few plates. And the fact that this one leg is tasked with lifting the entire body will help you get it up to shape in less time. Go all the way down. Hack squats can be customized to suit your strength and stamina, but still, it is not for the lighthearted. If you’re looking to hack squat, you must go all the way down before pushing up. Doing otherwise or pushing up when you have just descended midway will exert unnecessary pressure on the knees and could expose you to potentially serious injury. Take a couple of deep breaths before you start. Performing hack squats will need your lungs going all in and when is the best time to get them ready than before you get started? Taking deep breaths will help your lungs prepare for what’s coming. You can also do a couple of light exercises before you proceed to the actual hack squatting. Change your stance from time to time to focus your workout on a particular muscular region. Taking a wider stance, as well as placing your feet forward on the feet rest will focus most of the pressure generated on the glutes. 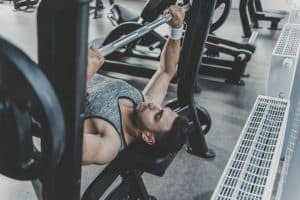 On the other hand, a narrow stance that’s supported by resting your feet more in-depth into the feetrest will focus your workout on your quadriceps. Aim to make your workout more intense as you progress. 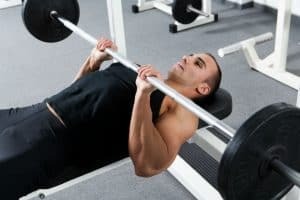 This could mean adding more weight to the barbells or the hack squat machine as the case may be, taking lesser time to rest before getting back to the hack squat machine, extending your reach, etc. Good enough is never enough. Ensure to balance both sides of the bar of the hack squat machine. If one leg is significantly stronger than the other, trying to load up the hack squat machine won’t help you reduce this disparity. Instead, you may even get yourself seriously injured. Think of a torn ligament or something similar…not good. If you’re looking to develop a specific leg, keep the okay one out of play for as long as you can before squatting with both. That should fix the muscular disparity within a short period. If you take care to incorporate these tips into your hack squat workout schedule, you will discover that your progress will be rapid and sustained – without risking any damage to yourself. So, there you go! Was that a lot? In this article, we have made efforts to bring you as much information about hack squats as possible. 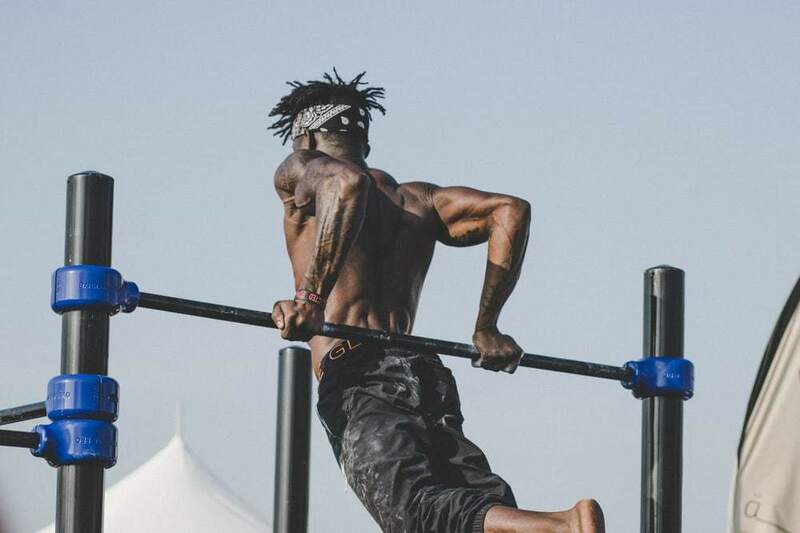 You’ll agree with me that I’ve presented to you the complete guide on the hack squat, explaining its dynamics, its influence on specific muscular regions, the attendant adverse effects as well as the tremendous physical development that performing the hack squat promises. Are there any tips relating to thack squatting that you can relate with on our list? Or perhaps you were expecting to hear a particular info which we totally missed? Or probably you have been doing hack squatting for a seriously long time, and you want to tell us how it has helped you become a better bodybuilder? Let us know in the comments, and we will be happy to share your story. Once again, to your great body!